Slots Empire impresses right from the moment you enter the casino site. You can’t help but get swept up in the grandeur of the imposing Romanesque design complete with menacing looking gladiator looming large in the main lobby. Yep, Slots Empire has picked a theme, and they are running with it big style! Everything has been well thought out to fit in with the styling of the casino even down to the fun tone of voice they use in all of their casino pages! It definitely builds up the tension and excitement for what will surely be an epic gambling session! Slots Empire has chosen to team up with Real Time Gaming. This is a developer who has been churning out some fantastic games over the course of many years and has fully established themselves as a reliable and innovative software house. 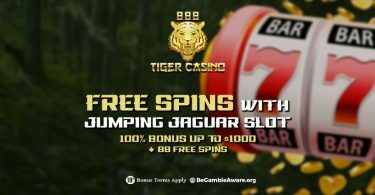 They have some hugely popular slots as well as table and card games making them a great all-rounder with something for every player. All of these, are of course, available to play across all platforms from desktop to mobile! 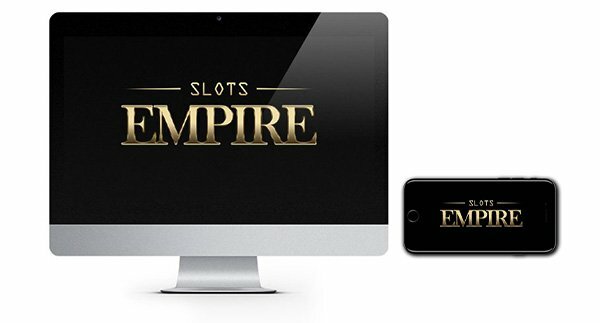 As well as great games, Slots Empire has got off the starting blocks well with a superb support function working hard behind the scenes to ensure every player has a seamless and hassle-free session. As well as offering 24/7 live chat which is by far the quickest way to get some answers, they also offer telephone support should you wish to speak with a member of their team. An email contact is also supplied. Deposit options aren’t so plentiful with just a few offered, but you can use Bitcoin here so that will please many of our readers. Deposits are secured with the latest encryption technology so you can be assured your payment details will stay protected. Real Time Gaming is a hugely popular software developer, but you won’t find them everywhere. 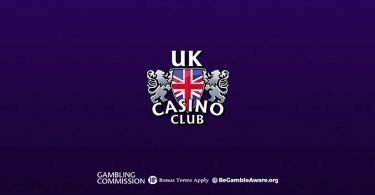 They tend to choose wisely when it comes to their casino brands, and you’ll typically find they are the sole provider of a casinos’ collection of games. Here at Slots Empire that is very much the case aside from a handful of live dealer games supplied by Visionary iGaming. You will be able to fully immerse yourself in the joy of RTG games and slots! That said., some casino fans might like a bigger variety of software developers at their disposal, if this is you, then please do check out some of our other casino listings as we have loads to share with you! If you are sticking wit RTG, then Slots Empire is indeed a great venue to enjoy the games in all their technicolour glory! 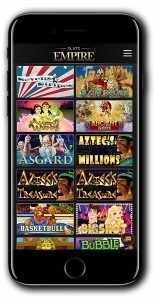 Their marvellous slots games are a real highlight with so many themes and styles to choose from. Brilliant bonuses and features keep you guessing and ensure gameplay is nothing short of thrilling! Don’t forget to play the games in practice mode first to see if they float your boat before you play for real! 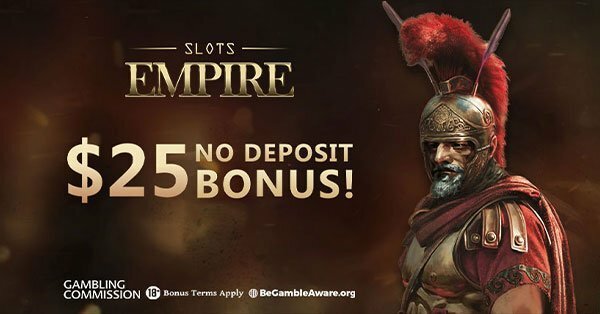 Slots Empire $25 No Deposit Bonus! The Slots Empire has gone in strong with this new player bonus! A $25 free cash bonus, no deposit required for new customers registering using the bonus code ‘25GRATIS’! Your cash will be credited and ready to use within minutes to play on slots, video slots, scratch cards, keno and more. Just hit our link below to collect your cash! The good news continues for depositing players as they will issue you with a massive 220% cash match bonus with your first qualifying deposit (use bonus code ‘INFANTRY’). Plus if you have used Bitcoin or Neosurf to credit your casino account, you’ll receive an enhanced 240% match bonus! Please note – the Slots Empire bonus is exclusive to new customers and the bonus code must be used in order to claim it. Maximum conversion is capped at 3x the bonus amount. The wagering requirement for the no deposit bonus is 50x. Cash match bonus must be wagered 30x (bonus + deposit). Maximum bet size capped at $10. Join the Slots Empire and experience the thrill of Real Time Gaming slots and casino games! slotsempire.com pure scam. ive done the wager 1250 euro and max pay out is 75, and minimum pay out is 150, so you need to deposit 75 to be able to cashout. A lot of RTG casinos have these kind of bonus rules on no deposit offers because they get a lot of bonus abuse. It does say up front that max cashout from no deposit offers is 3x bonus. If you need to deposit before you can withdraw I don’t think that makes this a ‘pure scam’.